Guide Price £300,000 - £325,000 Robert Luff & Co are delighted to bring to the market this three/four bedroom home situated in Sompting Village. Benefits include a very versatile home to be a large family home or a great investment and a possible HMO. Further features off road parking for two cars, and a low maintenance rear garden. VIEWINGS A MUST! Fully Upvc Double Glazed surround, frosted double glazed front door to entrance hallway. Radiator, wall mounted thermostat, under stair storage housing RCD unit, stairs to First Floor. Matching wall and base units with marble effect work surface, one and quarter bowl sink drainer, mixer tap, part tiled walls, space and plumbing for dish washer, space and plumbing for washing machine, double glazed door to outside. Double glazed window, radiator, storage area, feature wall, coved ceiling. Further kitchen units and work top, space for fridge freezer. Radiator, cinema area, double glazed window looking over garden. 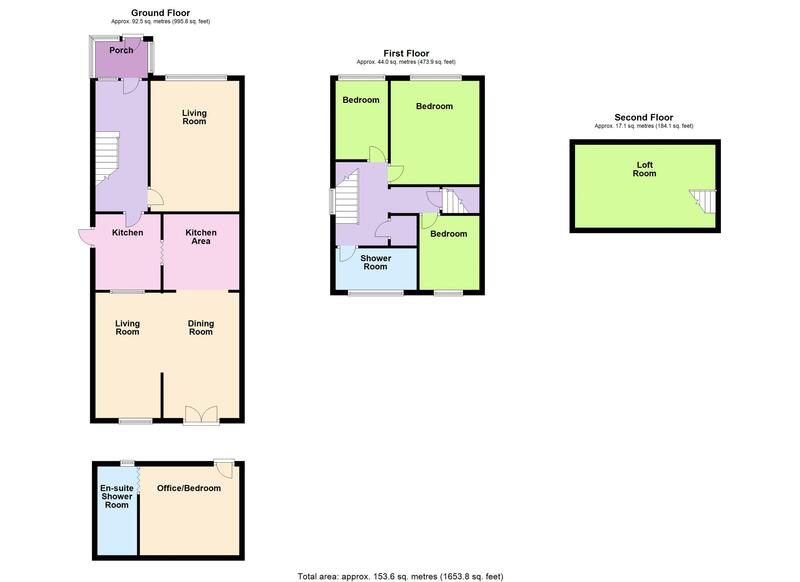 Low level flush W/C, Wash hand basin and pedestal, heated ladder radiator, fully tiled walls, frosted double glazed window. Currently being used as a bedroom but no planning permission or building regs. Upvc surround, double glazed French Doors, electrics and light. Door to En-suite: Low level flush W/C, wash hand basin and mixer taps, shower cubicle. The one storey extension does not have planning permission. The Outhouse does not have planning permission.